Check out all of the best scenes from Capital XTRA's Homegrown Live, with Yxng Bane, Yungen, Lady Leshurr, WSTRN, B Young and more. 1. 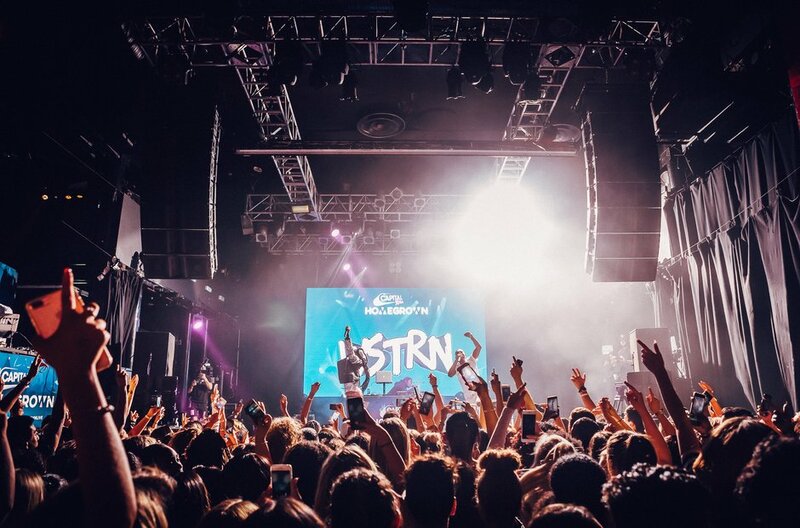 WSTRN opening the first ever Capital XTRA's Homegrown Live. 2. WSTRN performed songs IN2, Bestfriend and more. 3. The crowds turned up to watch the best of the UK music scene perform. 4. Lady Leshurr owned the Homegrown Live stage. 5. EO came out as a surprise guest on the night. 6. The crowd at Koko Camden for Capital XTRA's Homegrown Live. 7. B Young performed hit song 'Jumanji'. 8. Dappy on a security guard's shoulders, heading into the crowd. 9. The crowds at Koko watching Capital XTRA's Homegrown Live with surprise guest EO. 10. Ella Eyre was the second surprise guest of the night, joining Yxng Bane on stage. 11. Ella Eyre and Yxng Bane performing 'Answerphone'. 12. Yungen and Yxng Bane closed out Homegrown Live. What a night!